Extremely tidy and highly popular BRIG Eagle 645 on a dual axle trailer. This perfect size Rottnest tender is the pick of the bunch when it comes to well-built RIBs. 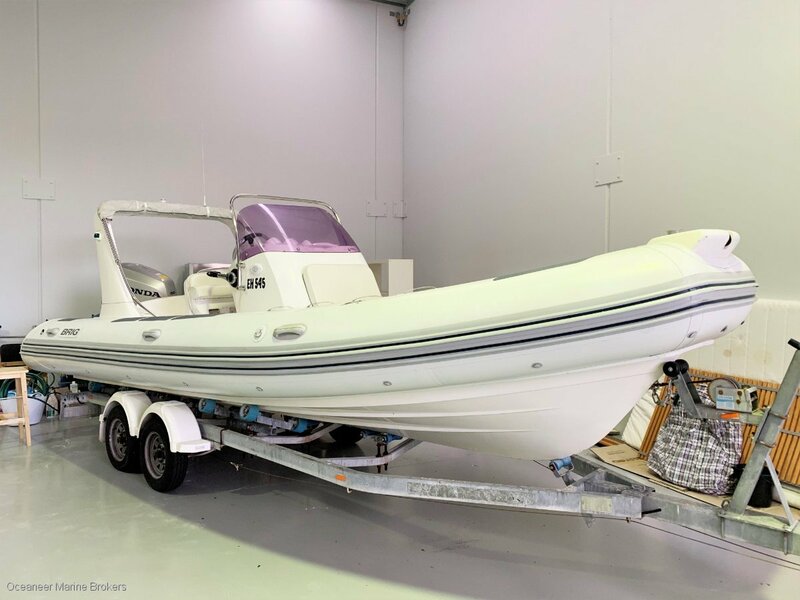 Launched 2011 and consistently maintained since, this rigid inflatable has all the amenities expected of a high end tender. Comfortable lounge seating for at least 6 passengers, touch screen Garmin navigation, Fusion stereo, full shade awning, reliable and economical Honda 150HP four stroke outboard with 488 hours, recent major service with no expense spared this year to get her Abrolhos ready, stainless steel prop, an immense amount of storage space below deck and seating, sturdy dual axle trailer.